The Steam Boat Association were celebrating their 40th anniversary at Bucklers Hard on the Beaulieu River, much to the delight of steam boat fans and small children alike. 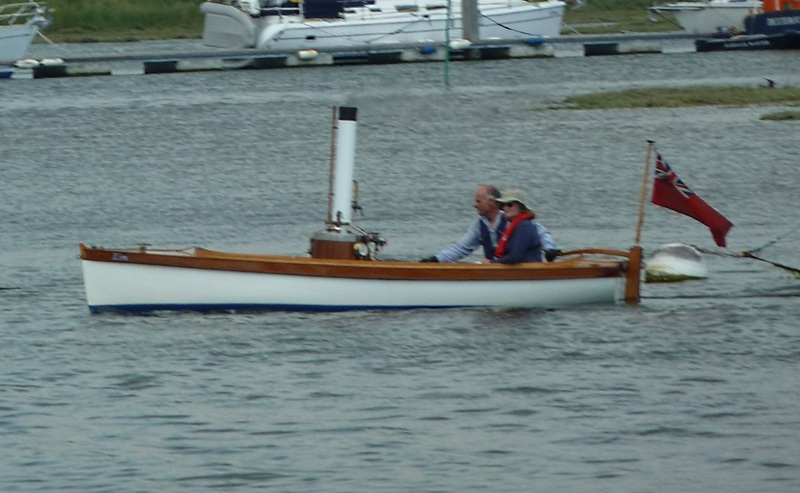 Boats out on the river ranged from the quirky (above) to elegant (below). 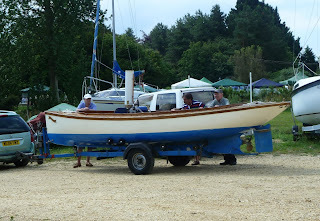 But for many it's as much about looking at boats and chatting about boats as it is getting out onto the water. With fine weather and light breeze it was a perfect day for steaming along this delightful wooded river. Ashore the Master Builder's hotel were holding a food festival and food market, while members of the Solent Old Gaffers Association were also attending the weekend's events. 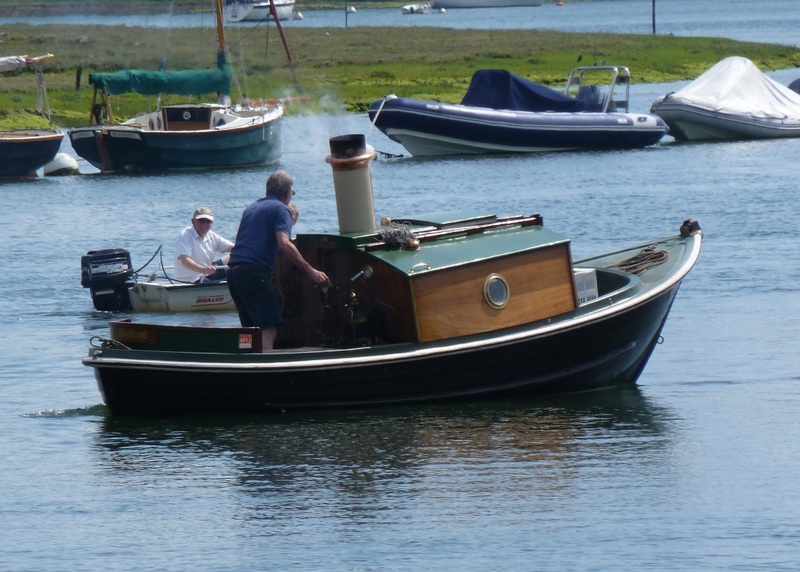 The events diary on the Steam Boat Association site shows a packed summer itinerary at events all over the country, so it was a real privilege to see so many steaming in our home waters. In Canary Wharf, London's financial centre for an early meeting I spotted this motor yacht moored alongside. Originally one of the old commercial ship docks it has been transformed as the area was developed to become the heart of our financial district. 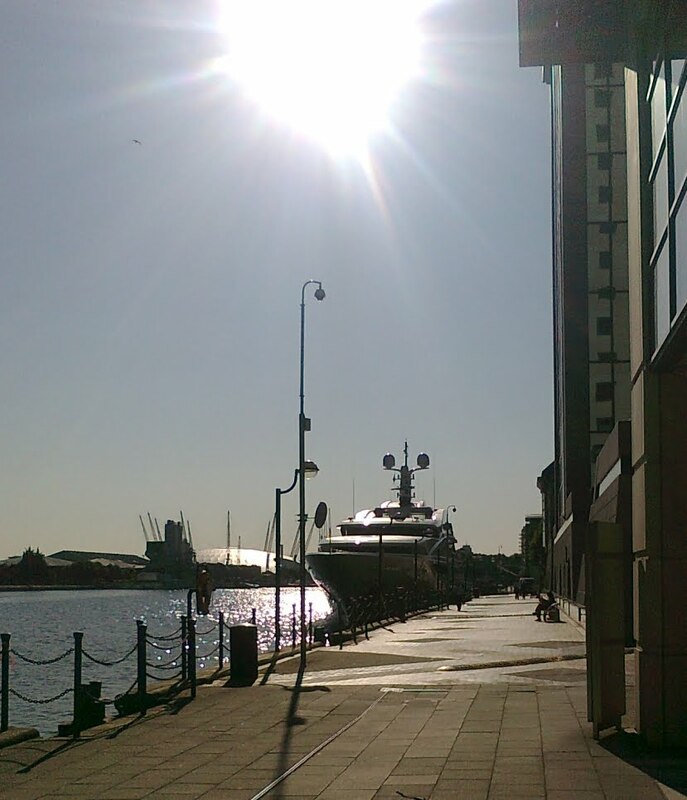 In the background the Millennium Dome. 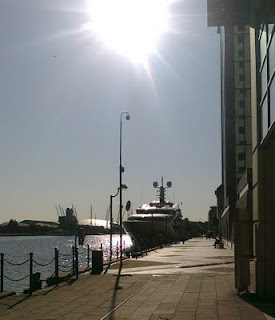 I didn't see a national flag, nor port of registry so a quick look on Google found details of a charter yacht of the same name which is described as a 60 meter Benetti luxury motor yacht on charter for $325,000 per week. 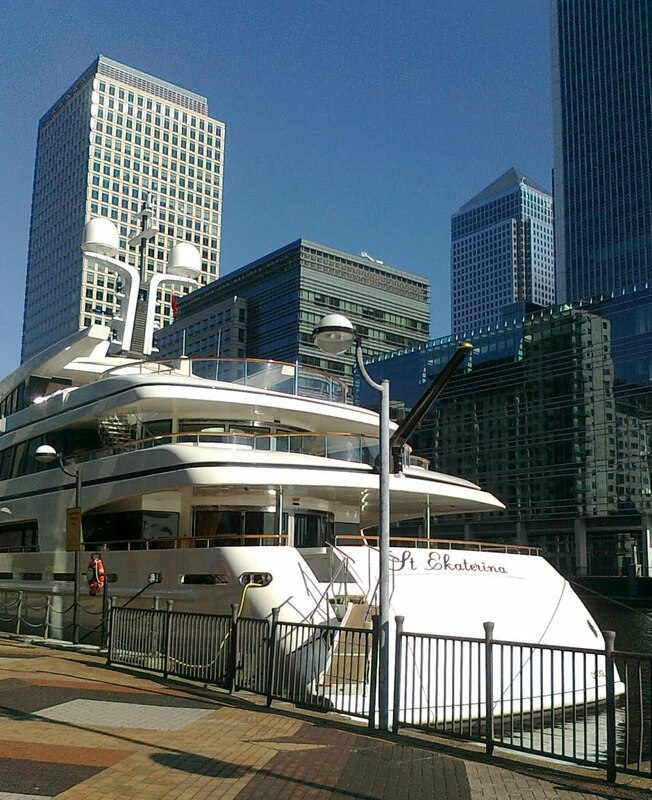 She looks right at home among the Canary Wharf towers. 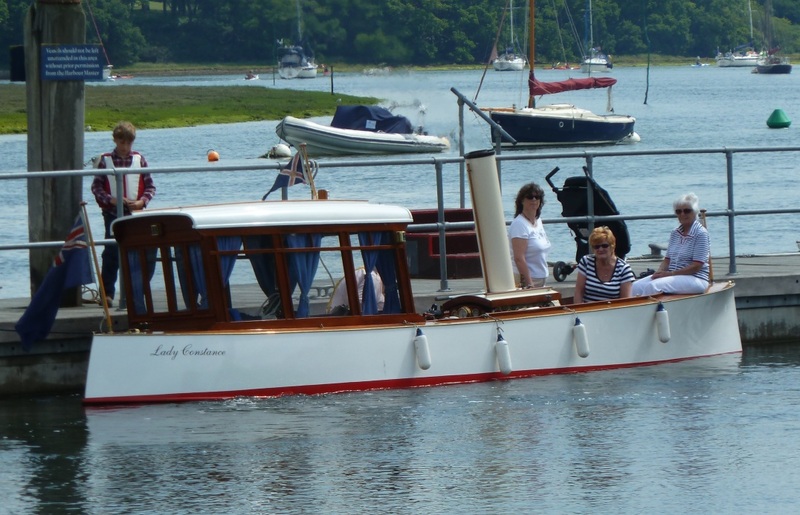 Back in August last year we spotted a honeymoon yacht which was tied alongside Lymington town quay sporting a "Just Married" sign. 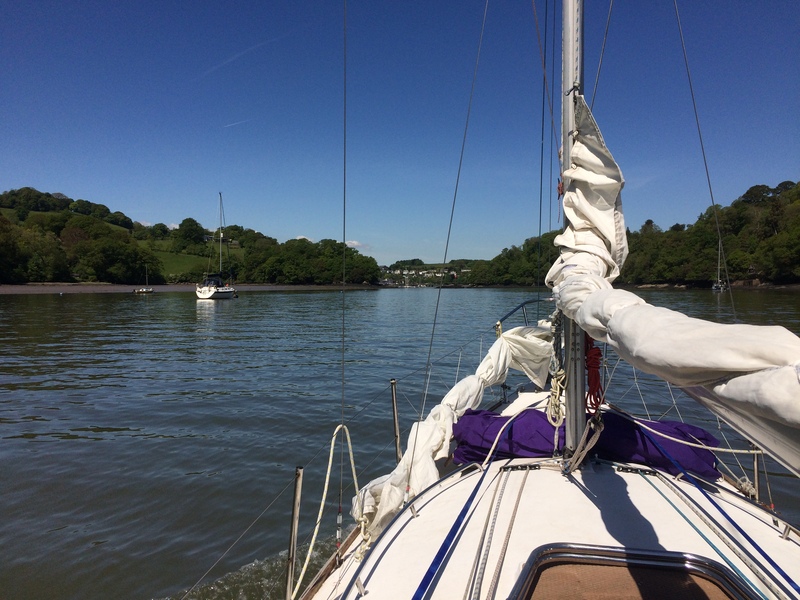 It was nice to get an email from Louise who explains that she and her husband did indeed spend their honeymoon cruising the Solent aboard their yacht Sarlia. Erica and I spent our honeymoon cursing the south coast over 10 years ago, so maybe it's a good way to start to married life. 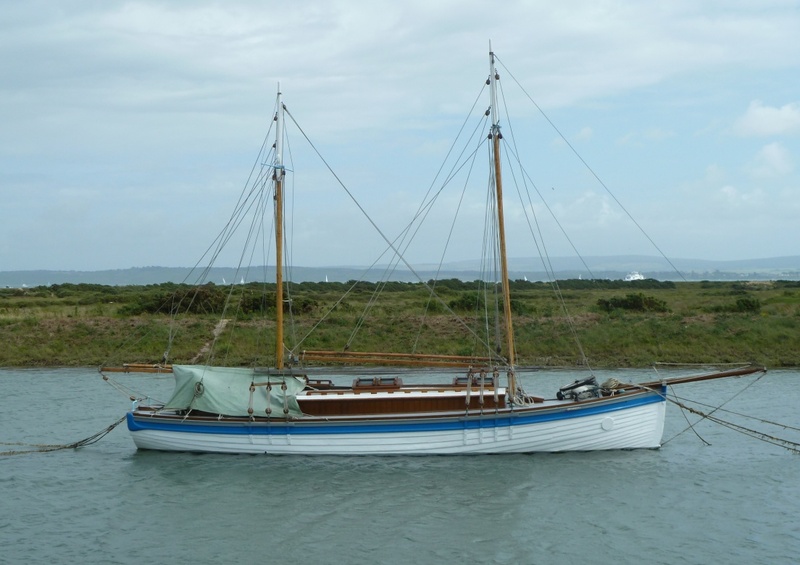 Louise also reports that Sarila is up for sale as they have acquired another classic yacht Marelle built by McGruer in teak. 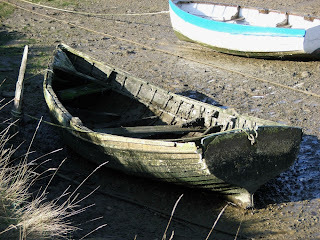 Well, not quite, but while fellow blogger Doryman is away on his summer cruise I thought I might be able to slip in this picture of a neglected dory without upsetting him too much. 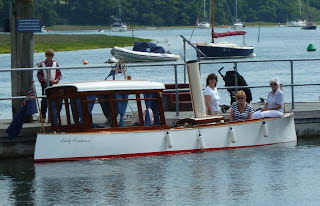 Dory's are all too uncommon in England, but the classic shape and tombstone transom were instantly recognisable; moored alongside a pontoon in the Lymington river. 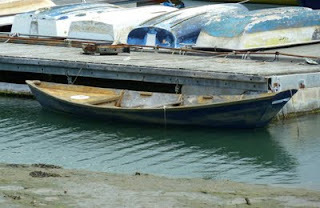 What I don't understand is why someone would let their boat fall into such a state of neglect? Sadly it does seem all to common in England, as is illustrated by the row of dinghies in the background, not one of which shows any sign of being cared for, let along display any pride of ownership. Perhaps we should start a campaign to help Stop Neglected Dinghy Syndrome. Actually it's a boat appeal - we need more boats to feature on our 1001 Boats blog. The most popular post on Bursledon Blog is still Valentine Cookies, I still can't quite understand why cakes would bring in more page reads than the fabulous boats we feature, but in order to attract the maximum publicity for our appeal I decided to post some more cake, this time Erica's frosted summer berry cake. 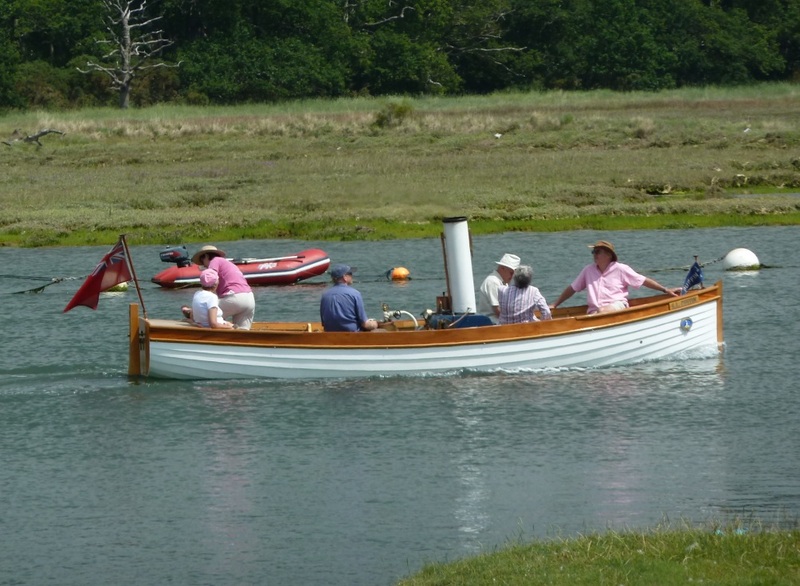 Having got your attention; reaction to 1001 Boats has been fantastic, between myself and my co authors Michael, Brandon and Tom we've posted nearly 70 boats, all classic, all beautiful, all boats that you really should see. Many have been sent in by readers and followers of our blogs and a special thank you goes out to everyone who has written in. But with 930 odd still to go we need more boats, so please join in the fun, drop us an email with some photos and a few words about your favourite boat, we'd love to feature it. 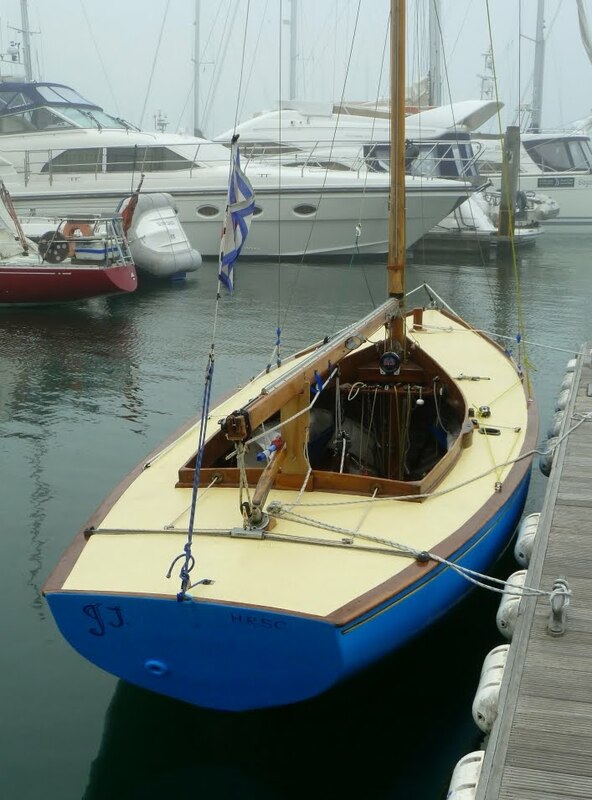 We're also pleased to announce Patrick who has joined us as an author from Northern France, apparently he's already spotted a couple of interesting local boats, which we look forward to seeing. 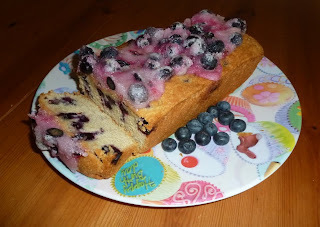 If you would like to be a co author please let me know. 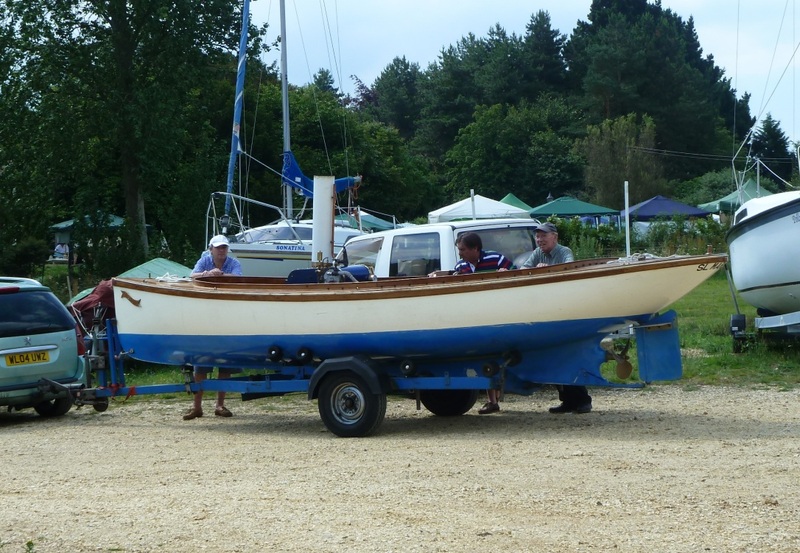 It was still misty early on Sunday morning this X One Design (XOC) was moored on the club pontoon ready for the day’s racing and looking lovely. 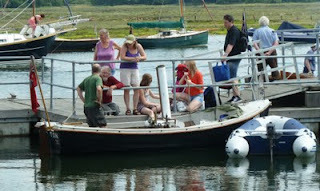 A large area of saltings run to the west of Lymington down to the entrance of the Solent at Keyhaven and Hurst. 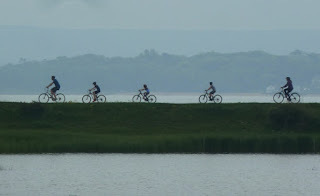 The area is a nature reserve and although the sea defences have drained some of the land many of the creeks, streams and salt water lakes remain. 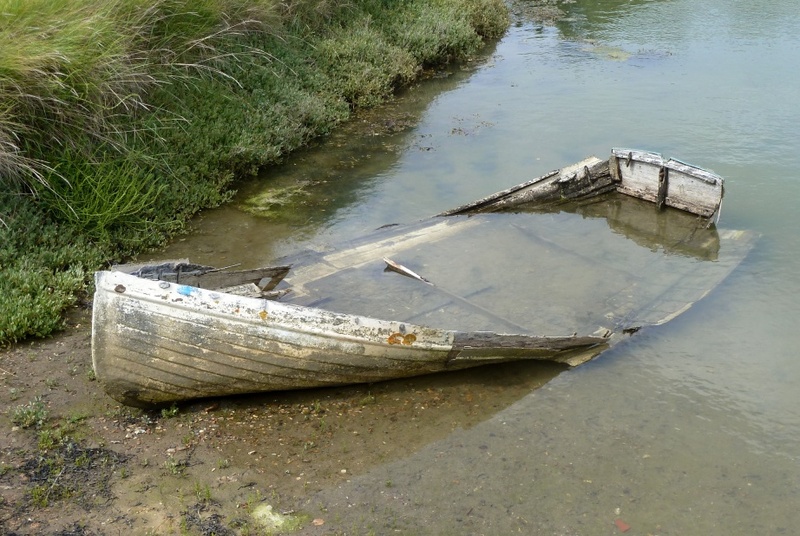 It’s been seven years since we took this picture of an old boat abandoned and rotting in one of the small creeks, it’s lines spoke of an efficient working boat combined with an elegance and grace in shape and form. At the time it occurred to me that it would be worthwhile to take the lines off and record them, but with a busy schedule and other distractions she was soon forgotten. 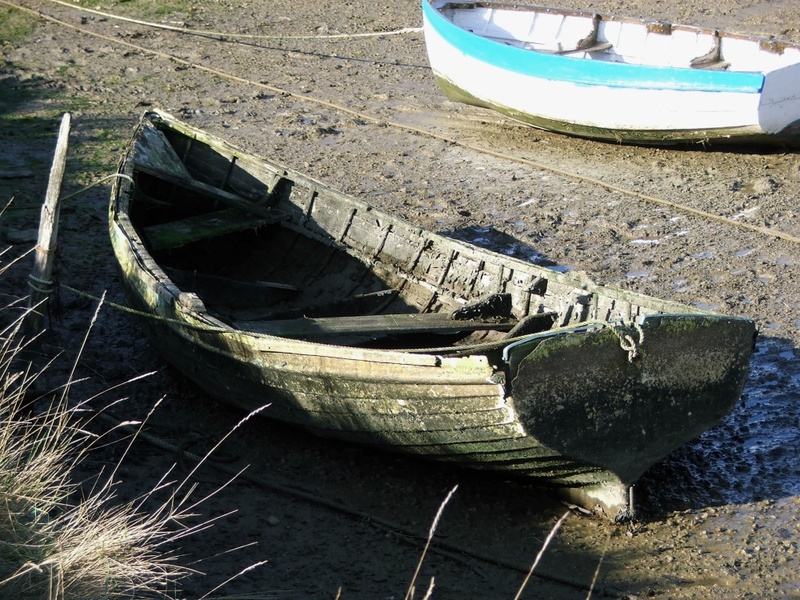 The intervening years have taken their toll, the transom has fallen away and the hull has lost the shape that caught my eye on the previous visit. 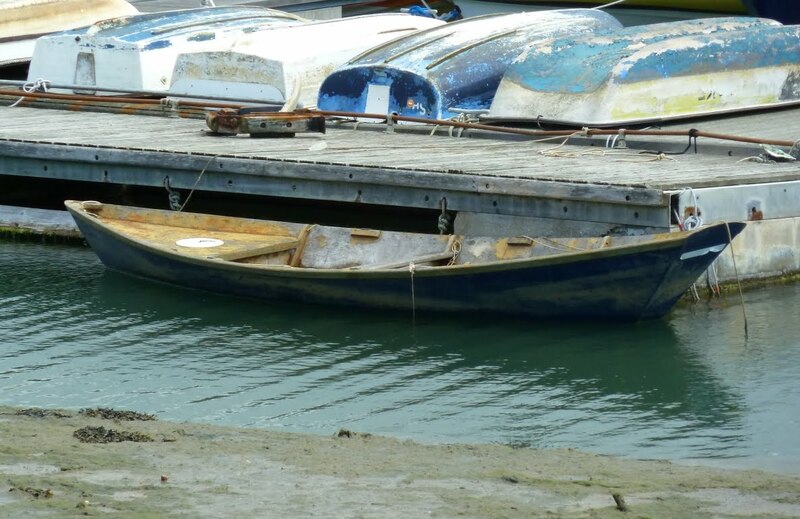 When I took the original photo I hadn't realised that the hull had been sheathed in fiber glass, but if you look more closely you can see it by the rounded corner of the planks as they meet the transom. Sadly pretty much all that now remains is the sheathing. 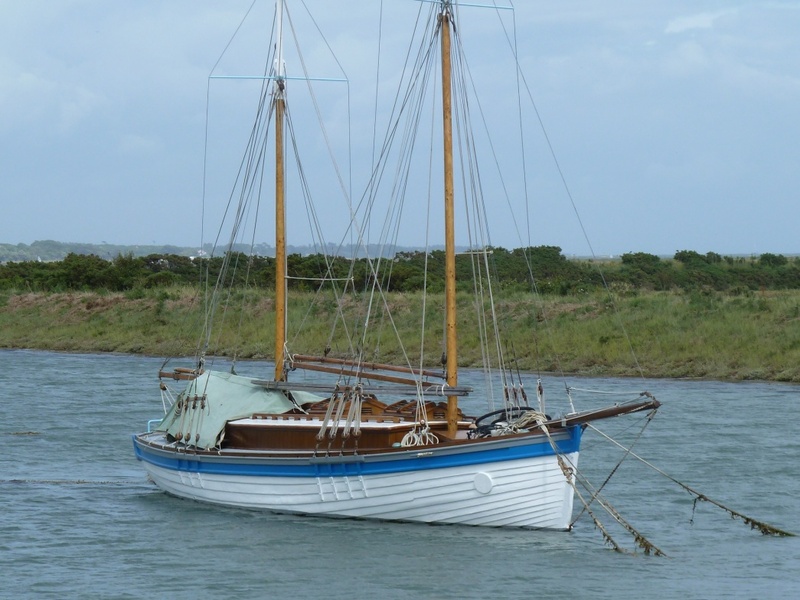 When we spotted this ketch on a mud berth at the head of Oxley Lake our first expectation was that it would be an old, possibly neglected cruiser passing out its final days or possibly a live aboard complete with old bicycles and plant pots on deck. 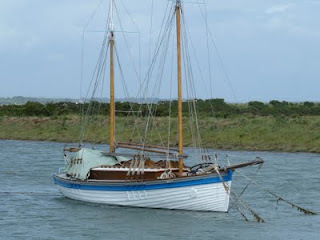 As we got closer we could see that nothing could be further from the truth, the topsides are freshly painted, the clinker planking well defined, the cabin finished bright to a standard which would be the envy of many. The hull shape is very pretty and sleek, I thought perhaps a conversion of an earlier working boat many of which were carried out in the post war years and very few of which now remain, but revisiting the pictures especially the profile view she has an integrity about the rig and hull which suggests that maybe she was designed and built as a yacht. 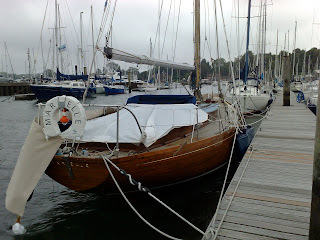 The low aspect ketch rig, spreading the sail area along the length of the boat should make her a handy and easy boat to sail, that long hull, low coach roof and sweeping sheer line which continues along the bowsprit make her very easy on the eye. 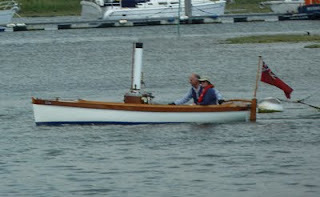 You may recall from earlier posts that I’ve always liked the Troy class 18 foot open day boats from Fowey. 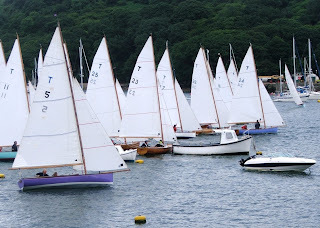 These heavily ballasted, half decked boats carry a cloud of sail and race in the often rough waters of the Fowey estuary. Owning a classic wooden day sailer, along with the problem of not actually living in Fowey or anywhere very close by got me thinking that a GRP boat based closely on the Troy lines but with a retractable lead keel (with a big lead bulb like an SB3) would make a really nice and practical day sailer which could be easily hauled home for winter storage. Enter DELFTship a cut down but fully functional version ship design package. I used an old photo copy of the Troy hull lines to give the basic hull dimension and then started working on a modern and shallow draft hull shape which would still retain some of the comfort and sea keeping qualities of the original boat. The great thing about applications like DELFTship is that you can make changes pretty instantly rather than spending hours having to fair lines plans manually. It’s far from finished, there is still probably too much dead rise in the sections and I’m struggling a little to get DELFTship to put the keel where I want it to go, but it's good fun.